ASHEVILLE NC – Have you or someone you know had their identity stolen? There are ways to protect yourself! The A-B Tech Student Life and Development Office is sponsoring a free seminar presented by OnTrack Financial Education and Counseling titled “Learn how to keep your identity safe” from 11 a.m. to 12:15 p.m. Tuesday, December 3 in Elm 232. · Learn how identity theft happens. · The best ways to prevent it. · What to do if it happens to you. ASHEVILLE NC – UNC Asheville will host three music events on campus during the month of December. The concerts feature faculty, student and community member musicians, and are open to the public. Flutist Judi Lampert, adjunct assistant professor of music at UNC Asheville, will lead a concert by the Apollo Winds at 7:30 p.m. on Thursday, Dec. 5 in the lobby of Lipinsky Auditorium. Admission is $5. UNC Asheville’s annual Holiday Concert will take place at 4 p.m. on Sunday, Dec. 8, with student ensembles performing holiday favorites in Lipinsky Auditorium. Admission is $5. The Reuter Center Singers will also present a holiday concert, at 7:30 p.m. on Monday, Dec. 9 in UNC Asheville’s Reuter Center. Under the direction of Chuck Taft, the chorus will be presenting a program featuring traditional and contemporary arrangements of holiday songs, followed by a cookie and hot cider reception. The performance is free. For more information, contact UNC Asheville’s Department of Music 828.251.6432 or visit music.unca.edu. For more information regarding the Reuter Center Singers, contact the Osher Lifelong Learning Institute at 828.251.6140 or olliasheville.com. ASHEVILLE NC – Award-winning recording artists Al Petteway, Amy White, and Robin Bullock lead the annual holiday concert A Swannanoa Solstice, Sunday, December 22 at 2:00 p.m. and 7:00 p.m. at Diana Wortham Theatre at Pack Place in downtown Asheville, with festivities beginning in the lobby prior to the performances with complimentary Wassail. In this annual winter holiday celebration, world-renowned musicians Petteway and White along with Bullock and a host of special guests share holiday songs old and new, religious and secular, joyful and poignant, in a warm and intimate winter concert. Grammy winner Al Petteway and his wife and musical partner Amy White perform an exciting blend of original, traditional, contemporary Celtic- and Appalachian-influenced music. Their repertoire offers extensive instrumental work featuring acoustic guitars, mandolins, Celtic harp, piano and world percussion as well as a fine touch of vocals. They have been Artists in Residence at Warren Wilson College and The Kennedy Center Millennium Stage. Their award-winning signature sound is heard often on public radio programs and has been used in soundtracks for independent films, most notably Ken Burns’ Emmy-winning PBS documentary, The National Parks-America’s Best Idea. While living in the Washington, D.C. area, Al & Amy won a grand total of 50 Wammies from the Washington Area Music Association in the Folk, Celtic and New Age categories. They received a coveted Indie Award for their CD Gratitude (2001) and Al won a Grammy for his solo fingerstyle guitar contribution to the pop instrumental compilation, Pink Guitar (2004). The readers of Acoustic Guitar magazine voted him one of the top fifty guitarists of all time. Al is the coordinator of Guitar Week for the world famous Swannanoa Gathering at Warren Wilson College, and was given the “Master Music Maker” award for his contributions to the program in 2013. Amy’s 2012 release, Home Sweet Home, was in the top ten on the national folk/roots charts and held the number one spot in North Carolina for more than a month in 2012. Al’s most resent release, It’s Only The Blues, was selected by the editors of Acoustic Guitar Magazine as one of the top ten essential albums of 2012. Al and Amy are both stock photographers with National Geographic Creative, and their photographs are represented in The National Geographic Society’s Image Collection, where Al worked as an image editor for 18 years. These photos are translated onstage during A Swannanoa Solstice in photographic backdrops of the Southern Appalachians in winter repose. Al and Amy make their home on top of the Elk Mountains range in nearby Weaverville, NC. Hailed as a “Celtic guitar god” by the Baltimore City Paper, guitarist/mandolinist/citternist Robin Bullock is a winner of Editor’s Pick and Player’s Choice Awards from Acoustic Guitar Magazine, the Association for Independent Music’s prestigious INDIE Award (with the world-folk trio Helicon), multiple Washington Area Music Association WAMMIE Awards, a Governor’s Award from the Maryland State Arts Council, and a bronze medal at the National Mandolin Championship in Winfield, Kansas. His twelve solo and collaborative recordings include two holiday CDs, A Guitar for Christmas and Christmas Eve is Here, and his most recent, Majesty and Magic: Music of Bach, Dowland and Carolan for Solo Guitar. In addition to his solo work, Robin also tours internationally as sideman with Grammy-winning folk legend Tom Paxton, including Tom’s 2010 and 2012 “Together at Last” tours with Janis Ian. A native of Washington, D.C. and a longtime resident of France, Robin now makes his home in Black Mountain, NC. A Swannanoa Solstice is presented annually in partnership with The Swannanoa Gathering at Warren Wilson College, and is made possible by Performance Sponsors Bill & Marilyn Hubbard, Henry LaBrun, Marrion & Rockwell Ward, and Arby’s, with additional support from Media Sponsors The Laurel of Asheville and WCQS 88.1 FM. The new entrance for the Diana Wortham Theatre at Pack Place is marked by the location of the theatre’s new marquee between 12 and 14 Biltmore Avenue. Patrons enter the theatre through the breezeway between Marble Slab Creamery and Circle in the Square restaurants, and into a large interior courtyard for Pack Place with multiple glass doors to the theatre’s lower lobby and new box office. The intimate theatre seats just over 500 and boasts exceptional acoustics and sightlines, making it the premier performance space in Western North Carolina. The Mainstage Series is supported by a grant from the North Carolina Arts Council, a state agency. The Mainstage Series 2013/2014 Season Sponsors are the Asheville Scene, Blue Moon Water, Creative Energy, Laurey’s Catering and Gourmet-to-go, the North Carolina Arts Council, and the Renaissance Asheville Hotel. To obtain more information on the Mainstage Series or to purchase tickets, call the theatre’s box office at (828) 257-4530 or visit www.dwtheatre.com. 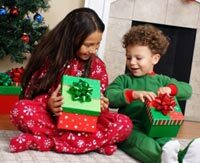 ASHEVILLE NC – Each year, children in foster care (ages 5-18), need sponsors to help fulfill their Christmas wish lists. Give a gift that really counts this holiday season – sponsor a wish list for a child, a teen, or a sibling group of children in foster care! By making the small choice to provide a foster child with their Christmas wish list, you can lift their spirits and give back to the community in a big way. All gifts should be purchased and returned to the Buncombe County Health & Human Services by December 10. Please contact Lisa Melton at 250-5881 for more information. If you are interested in fostering or adopting, please contact Families for Kids at 828-250-5868 or [email protected]. ASHEVILLE NC – Known as one of the Southeast’s most beloved and storied holiday travel destinations, Christmas at Biltmore is set to begin on Nov. 2, 2013, and will run through Jan. 12, 2014. Candlelight Christmas Evenings, offering evening candlelight tours of Biltmore House, take place Nov. 9 through Jan. 4, 2014. This year’s Christmas displays throughout Biltmore House, the gardens and grounds will draw inspiration from nature, with designs that evoke thoughts of forests, birds and other woodsy elements. On Christmas Eve 1895, George Vanderbilt opened Biltmore House for the first time to his friends and family. In subsequent years, he and his wife, Edith, welcomed family, friends and the estate’s employees and their families into the Banquet Hall for the annual Christmas party. Biltmore’s modern-day Christmas celebration is modeled on that first Christmas, with an elaborately decorated, 35-foot tall Fraser fir dominating the Banquet Hall. Guests will see 56 trees throughout Biltmore House, each intricately designed and decorated by members of Biltmore’s floral team. Miles of fresh garland and wreaths create a yuletide scent throughout the House, with around 1,000 red and white poinsettias in the Winter Garden and other areas. Biltmore House takes on a warm glow during Candlelight Christmas Evenings, creating a unique holiday experience. Local choirs and small musical ensembles stationed in the Winter Garden perform music of the season as guests enter Biltmore House. Soloists perform traditional Christmas music throughout the house while guests wander among the decorated rooms. The front lawn will glow with a 55-foot Norway spruce, lit by 45,000-plus tiny white lights. Guests may also visit Antler Hill Village when they attend Candlelight Christmas Evenings. In Antler Hill Village, Santa will visit with children and families from 1 to 5 p.m. on Saturdays and Sundays, Nov. 9 through Dec. 22, and also on Friday, Nov. 29. Antler Hill Village links to the Winery, where visitors may take guided tours, enjoy free wine tastings and purchase wines from Biltmore’s diverse portfolio. Special wine seminars are also available. Biltmore’s floral arranging and gardening experts will conduct free, daily seminars at A Gardener’s Place retail gift shop from Oct. 28 through Jan. 12. Seminars are “Caring for Christmas Plants,” 11 a.m. and 2 p.m.; and “Decorating with Christmas Wreaths,” 1 and 3 p.m. Guests may enjoy a festive meal at Bistro, Deerpark Restaurant, Stable Café, Cedric’s Tavern or The Dining Room at Inn on Biltmore Estate. For guests looking to extend their stay at Biltmore, the four-star Inn on Biltmore Estate offers several packages for holidays, including special New Year’s Eve packages. Biltmore boasts retail shops, all perfect for holiday gift shopping. Other activities include taking a horse and carriage ride and exploring acres of landscaped gardens. For more information about Christmas at Biltmore, visit www.biltmore.com. ASHEVILLE NC – Sugar Mountain Ski Resort in the Appalachian Mountains of Western North Carolina is open for skiing and snowboarding. “It feels terrific to get the winter season started. A mid-November opening is typical for Sugar Mountain,” said Owner & President Gunther Jochl. Snowmaking began Sunday evening, November 10th and continued until mid-morning on the 11th. A brief warm-up shut snowmaking down for the day. However, the snow machines came back to life early Tuesday morning as temperatures steadily dropped throughout the day. Overnight temperatures settled in the single digits at the summit and mid-teens at the base, creating an ideal snowmaking environment. Snow flurries accompanied the polar express leaving a dusting of natural snow on Sugar Mountain. Snowmaking continues. Today skiers and snowboarders can expect a 6-24 inch base on a manmade packed powder surface covering the Upper and Lower Flying Mile slopes. The Summit #1 Lift is in operation to the 3/4’s station. Lift/slope ticket prices are $30 for a full-day session and $25 for a half-day session. For a real time look at the slopes through the live, streaming web cam please log on to www.skisugar.com/sugarlive. The Sugar Mountain Ski and Snowboard School and the Equipment Rental Shop are both fully operational. Sugar Mountain Sports Shop, located in the Base Lodge is open for the season. It features the finest in winter apparel and footwear, quality gift items, and souvenirs; a great place to begin your holiday shopping. Plus, new winter items are arriving daily. If you have a group please contact the Group Sales Department. They will be happy to accommodate you. Sugar’s 10,000 square foot outdoor ice rink and tubing park are scheduled to open as soon as weather permits. Visit www.skisugar.com/sugarlive/activity.phtml to see both activities opening progress. For more information please call 800-SUGAR-MT or view www.skisugar.com for the latest slope and weather conditions. Historical opening and closing dates as well as recorded annual natural snowfall measurements can be found at www.skisugar.com/press/stats. ASHEVILLE NC – On Nov. 20, the public is invited to an open house to learn more about the impacts and responses to this summer’s rainfall, and to discuss what the area can expect from future weather events. The open house, presented by the City of Asheville and UNC Asheville’s National Environmental Modeling and Analysis Center (NEMAC), will take place at NEMAC’s 116 Grove Arcade location in downtown Asheville. The summer of 2013 saw record rainfall in and around Asheville, with storms dumping nearly 12 inches of rain in July alone. That volume of rainfall in such a short period of time presented new challenges to the City of Asheville as Public Works officials responded to incidents like landslides and sinkholes. The on-site technology provided by NEMAC will offer visitors computer simulations of rainfall impacts on Asheville, and even provide site-specific illustrations of flood and stormwater runoff impact. The City of Asheville and UNC Asheville’s NEMAC have been working together for the past seven years, largely collaborating on flood reduction and stormwater work. Representatives from the City’s Public Works Department, Stormwater Services Division and Office of Sustainability will be on hand at the Nov. 20 open house to talk about the realities of heavy rain events, detail community responses from the city, and discuss options for preventative measures in the future. The open house will take place Wednesday, Nov. 20 from 6-8 p.m. at the RENCI Engagement Site located in the Grove Arcade, Suite 116, One Page Avenue, Asheville, NC 28801. ASHEVILLE NC – An audit of the City of Asheville’s Building Safety Division by the Insurance Services Office (ISO) has resulted in high marks for performance and commitment to building code enforcement. The Building Code Effectiveness Grading Schedule (BCEGS) measures effectiveness of building safety programs. Scores range from 1 to 10 with low scores representing the highest quality (a score of 1 is considered “exemplary”.) An ISO audit of the city’s program this summer resulted in scores of 2 for both the residential and commercial building safety programs. Strong adherence to building codes affects the kind of impact natural disasters have on buildings, and positively affects the safety of citizens and the economic stability of a community. ISO ratings also impact insurance scores statewide, and low scores like the one achieved by the City of Asheville result in lower insurance rates across North Carolina. ASHEVILLE NC – UNC Asheville’s Department of Art will hold its annual Holiday Ceramic and Art Sale from 4-7 p.m. Friday, Nov. 22, and 10 a.m.-2 p.m. Saturday, Nov. 23, in UNC Asheville’s S. Tucker Cooke Gallery, located on the ground floor of Owen Hall. The sale is open to the public. A wide variety of functional and decorative pottery, drawings, prints, photography, glass and sculpture crafted by UNC Asheville students will be on sale with prices starting at $5. A portion of the proceeds will benefit the Department of Art. For more information, call UNC Asheville’s Department of Art at 828.251.6559. ASHEVILLE NC – UNC Asheville’s deadline for Early Action applications from prospective students has been extended from its original date, November 15, to November 22, 2013. Applicants now have an extra week to prepare and submit their applications. Students who apply by the early action deadline of November 22 will be informed of their admission status in December and are considered for Laurels Scholarships – UNC Asheville’s merit-based scholarship that provides a variety of awards, including full tuition and fees. You are currently browsing the Asheville NC News blog archives for November, 2013.